Size: 763 sq.ft. - 1260 sq.ft. square feet, across five clusters, in Thane city. moment you enter in your beautiful Apartments at Balkum. high-end livingwith 50% of apartments overlooking 8 acres of greenery. parks,recreational centers and so on. 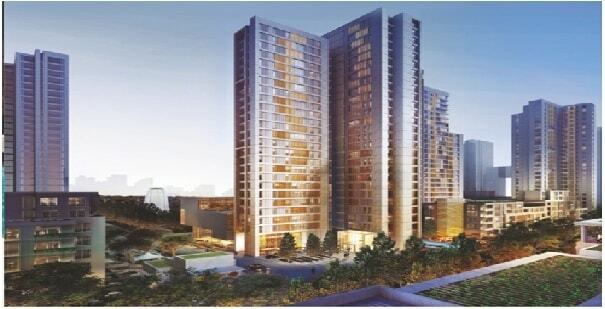 Piramal Vaikunth Phase 1 is constructed at Balkum Thane West. The amenities include gymnasium, swimming pool, childrens play area, club house, rainwater harvesting, intercom, 24x7 security, power backup, landscaped gardens, indoor games, restaurant, sports facility, jogging track, multipurpose hall, tennis court, badminton court, squash court, party lawn, Wi-Fi connectivity, health club, vastu compliance, bar, lift, CCTV, Jacuzzi, community hall, and elevator. Schools/Colleges: -Lodha world school, S.P Zevires High School. Restaurants: - Hotel Swagat, Swad Chinese. Banks/ ATMs: - Bank of Baroda ATM, Axis Bank ATM, HDFC Bank ATM. Parks: -KaiVaman Dada Udyan, NandibabaUdyan, Children’s Park. Bus Stops: -Balkum Naka Bus stop. Theatres: -Pratap Cinema & Tower, Cinepolis, Mohan Mill Cineplex.